Security sources told French media an air strike on Wednesday killed Clain in Baghuz, the last pocket held by IS. The US-led coalition fighting IS said it was trying to verify the reports. Clain became known as the French voice of IS after the 2015 attacks that left 130 people dead. What is known about Wednesday's air strike? It was carried out overnight by the US-led coalition, security sources told French media. 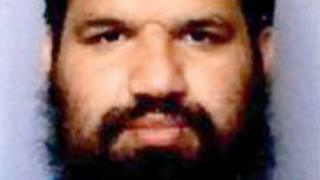 They said that Clain's brother and fellow jihadist, Jean-Michel, were seriously wounded in the strike. French Defence Minister Florence Parly later tweeted (in French), that it was "possible" that Fabien Clain was killed. Fabien Clain is believed to have gone to Syria in 2015. Nearly 2,000 French citizens have fought for IS in Syria and Iraq since 2014, the French government believes. How close is the capture of Baghuz? About 300 IS fighters are thought to be holed up in and around the village on the border with Iraq. In recent days, civilians have been evacuated from the village. The US-backed Syrian Democratic Forces (SDF) alliance has said it is waiting for their removal before launching an offensive against militants "entrenched inside". Those removed are being screened then taken to camps, the SDF say. The fall of Baghuz is significant - but experts have warned the group's ideological pull endures. At its height, five years ago, IS controlled 88,000 sq km (34,000 sq miles) of territory stretching from western Syria to eastern Iraq.